FIXYOURTHINKING.COM / Need a brain? Borrow mine! : Should I Buy A Refurbished Mac? I always buy a refurb when it comes to a new Apple Computer ... I always recommend it to anyone wanting to purchase a Mac as well. • Most Apple refurbs (from the Apple Online Store) are from the retail stores. • Apple generally replaces any part that is scratched. • Apple includes all brand new accessories with each refurb. I look at getting a refurb (from Apple) as like getting an extended warranty - the unit has been thoroughly examined. If it was in an Apple Retail Store (as most refurbs are) then it most likely is 3 months old - therefore ... it's kinda like getting a 15 month AppleCare warranty. Also, I take into account that even the occasional NEW Apple computer could fail right out of the box - so what's the risk? Apparently the same isn't true for Dell. Ever wonder if "certified refurbished" is just corporate doublespeak for "not entirely broken crap?" Well, at Dell, it is! This refurbished Dell Studio ... arrived with large scratches and a CD-R in the optical drive containing a pirated copy of Microsoft Office. Dell's response? They're willing to take back the laptop and waive the restocking fee, but that's it. I wouldn't hesitate to buy an Apple refurbished Mac or product. 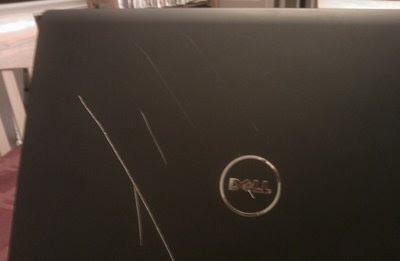 I didn't think that Dell was that bad however! In a lot of people's quest for the best deal on a Mac ... They are buying refurb PCs to make a hackintosh. While Apple's refurbs are still more expensive than Retail PCs ... I want everyone to know their is just as much if a difference in the quality. This story is the norm for PC refurbs - it's the rare exception for Apple - this Dell refurb story gives Apple refurbs a bad wrap ( by commonality ).